June 19, 2013 - Just finished setting up my new space in Toronto's year round Arts Market, located at 1114 Queen St. E in Leslieville. This is an incredible collective of over 50 artists, and I am all too pleased to share the space with these talented individuals. 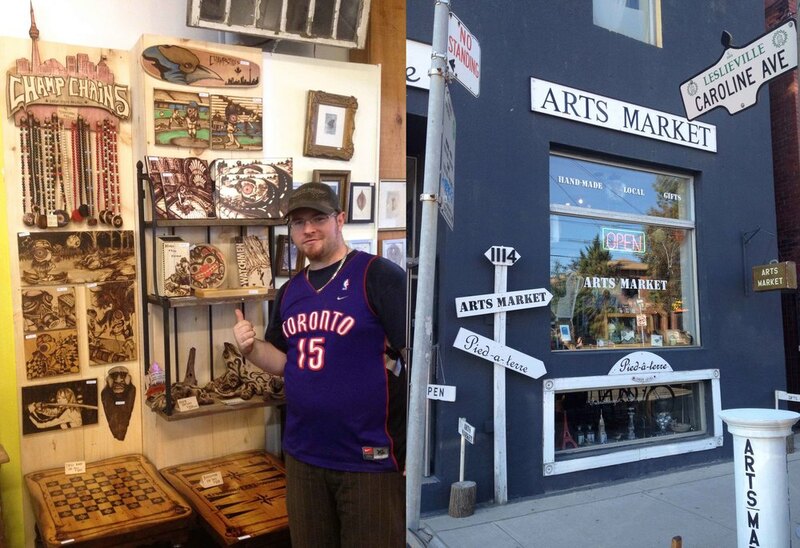 The Arts Market is open 7 days a week, and they are opening a second location at 846 College St. on June 22, 2013. Good luck to all the vendors in both locations, new and old. 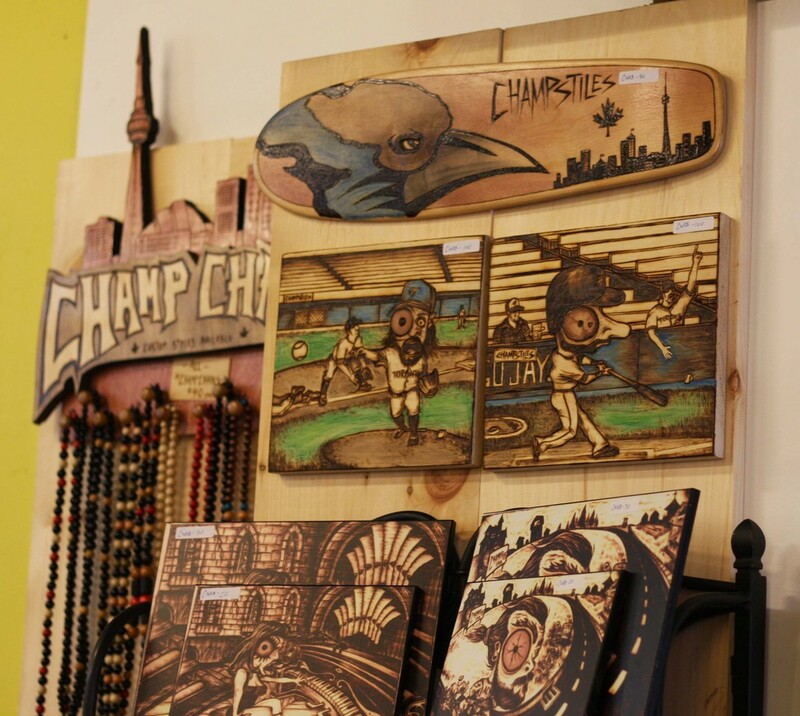 Here's a few pics from my first install... there will be plenty of updates and exclusive items in the Champstiles area, so make sure to stop by the store and check it out! Make sure to check out BOTH of the Arts Market locations! They are very artist friendly and filled with tons of amazing, one-of-a-kind products. Keep up to date on event info and Arts Market news on their Facebook and Twitter. 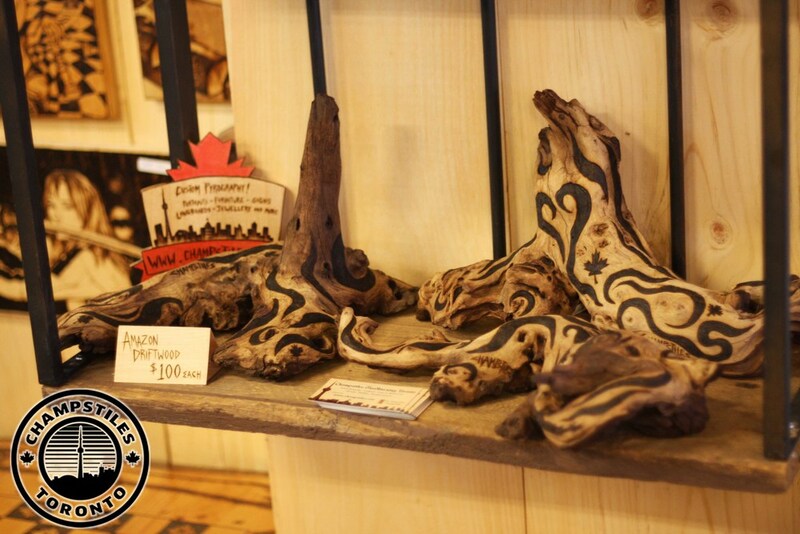 Posted on June 19, 2013 by Chris Burns and tagged arts market champstiles crafter shopping toronto wood art woodburning.